Divisions let you segment your organization's data into logical sections, making searches, reports, and list views more meaningful to users. Divisions are useful for organizations with extremely large amounts of data. Divisions can be assigned to users and other kinds of records. For example, you can create a report to show the opportunities for just the North American division to get accurate sales numbers for the North American sales team. Record-level division - Division is a field on individual records that marks the record as belonging to a particular division. A record can belong to a division created by the administrator or the standard “global” division. The standard global division is created automatically when your organization enables divisions. A record can belong to only one division at a time. Default division - Users are assigned a default division that applies to their newly created accounts, leads, and custom objects that are enabled for divisions. Working division - If you have the “Affected by Divisions” permission, you can set the division using a drop-down list in the sidebar. Then, searches show only the data for the current working division. You can change your working division at any time. If you don’t have the “Affected by Divisions” permission, you always see records in all divisions. Divisions are not available by default in Salesforce. Contact Salesforce support to enable Divisions in your organization. Division cannot be used for hiding records. BigObjects let you store and manage large amounts of data on the Salesforce platform. Within Force.com, objects are used to store and access data. Different kinds of objects are provided with different capabilities to align with different use cases. Standard Objects store data as defined by Salesforce while Custom Objects are created to store information unique to your organization. External Objects are provided to connect to data that is stored outside of your Salesforce organization. 1. Go to Create --> BigObjects. 1. BigObject can be exposed to REST, SOAP, BULK and MetaData APIs. 2. Supports Synchronous and Asynchronous SOQLs. 3. Reports and Dashboards are possible. 4. Search is not supported. 5. Supports aggregate function in the query. 3. Select the link for download based on your system configuration. 4. Confirm Ruby is installed. 2. 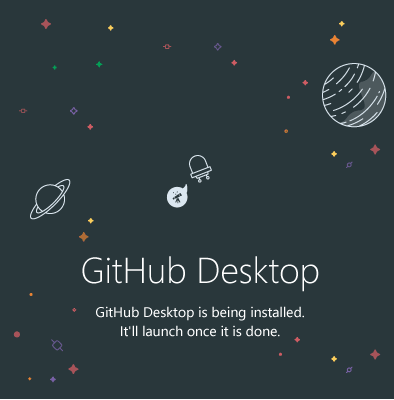 Download GITHUB desktop Client. 3. Open the downloaded file. 5. Enter your username and password and login. Use Lightning Data Service to load, create, edit, or delete a record in your component without requiring Apex code. Lightning Data Service handles sharing rules and field-level security for you. In addition to not needing Apex, Lightning Data Service improves performance and user interface consistency. 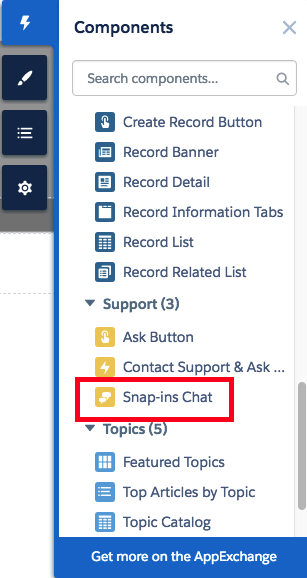 How to add Snap-Ins Chat component in Salesforce Community Cloud? 2. Select Snap-ins Chat under support section from Lightning Components. Help support agents decrease customer frustration, and improve support. Community 360 shows support agents working in the console whether customers have already looked at pertinent documentation and if they’ve already filed any cases before calling support. Agents don’t suggest articles customers have already accessed, or open duplicate cases. 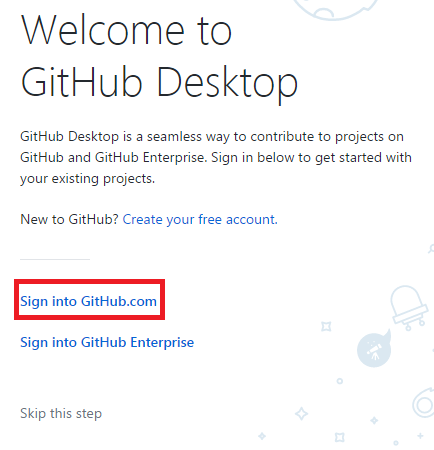 This feature is new in Lightning Experience. To use Community 360, contact Salesforce to enroll in the public pilot program. Then you can enable it in the communities where you want to gather information and give the profile permissions to your support agent. To enable it in the community, select Gather Community 360 data preference in the Administration workspace. Lithning Voice is available in Professional, Enterprise, Performance, and Unlimited Editions. How to create Global Picklist Value Sets from existing pick list field? Lightning for Gmail is now generally available, and with our latest features, your team gets a boost in productivity. And reps get to relate emails to Salesforce before sending them. Crafting emails is faster with the use of Lightning email templates. Do more with Facebook in Social Studio. Show Facebook Inbox message conversation in Marketing Cloud in Salesforce. Salesforce introduces the Embedded Login feature to authenticate your website’s visitors. Your web developers can add login capabilities to the website with just a few lines of HTML. Embedded Login connects your website with Salesforce. This feature works for communities created with either our Communities or Salesforce Identity products. This feature is new in both Lightning Experience and Salesforce Classic. 1. Go to Setup --> Customize --> Users --> Fields --> Create New Field. 2. Select "Formula" as the data type and "Text" as return type. 3. Use "Profile.UserLicense.Name" in the formula editor. 4. Save the formula field. 5. Use the formula field in the report. Commerce Cloud is one of the eight product clouds that make up the Salesforce Intelligent Customer Success Platform. With Commerce Cloud, retailers and brands can cater to their customers’ individual needs whether that’s online or in person. Commerce Cloud sites can be used across different devices and can personalize each shopper’s experience with dynamic content on web and mobile sites and smart product recommendations. If you shop online, you’ve probably used several Commerce Cloud sites without even knowing it! This is mainly used when we use Apex Metadata API. Used to Deploy Metadata from Non-Certified Package Versions via Apex. By enabling this setting, ISVs can test managed packages that aren’t yet certified, and enterprises can use managed packages to test or update their apps. But as long as it’s turned off for your org, you can rest assured that no uncertified package can modify your org. 1. 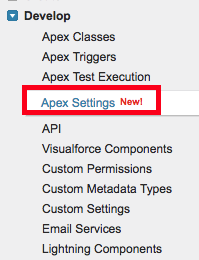 Go to Develop --> Apex Settings. 2. Enable Deploy Metadata from Non-Certified Package Versions via Apex and click "Save" button. 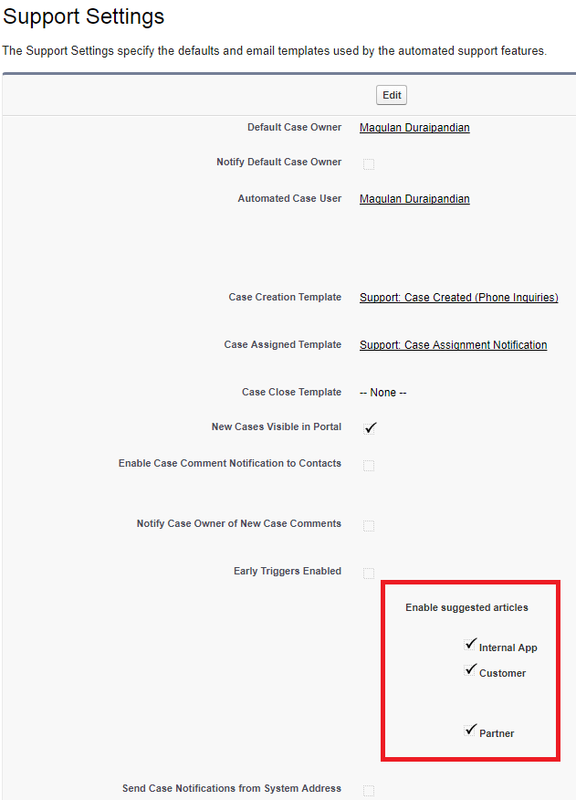 How to display wrapper class list in Salesforce Lightning component? How to create picklist in Lightning Component in Salesforce? here value="true" is used to set the default value. 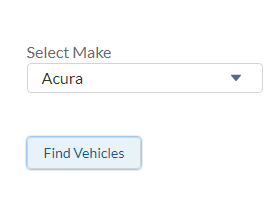 When Find Vehicles button is clicked, selected value will be alerted on the screen. 1. Check whether your profile has CRUD permissions for the object. 2. 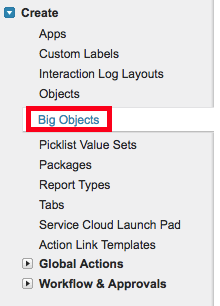 For Delegated Administrators, add the Custom Object in Custom Object Administration section. Check this link for setting Custom Object Administration. Picklist fields will show all the values since the record type is not taken into consideration. PK stands for Primary Key — the object’s record ID — which is always indexed. With this method, customers first query the target table to identify a number of chunks of records with sequential IDs. They then submit separate queries to extract the data in each chunk, and finally combine the results. With the arrival of the Spring ’15 release, we’re pleased to announce that PK Chunking is a supported feature of the Salesforce Bulk API. Now you can get the performance benefits of PK Chunking without doing all the work of splitting the queries into manageable chunks. You can simply enter a few parameters on your Bulk API job, and the platform will automatically split the query into separate chunks, execute a query for each chunk and return the data. 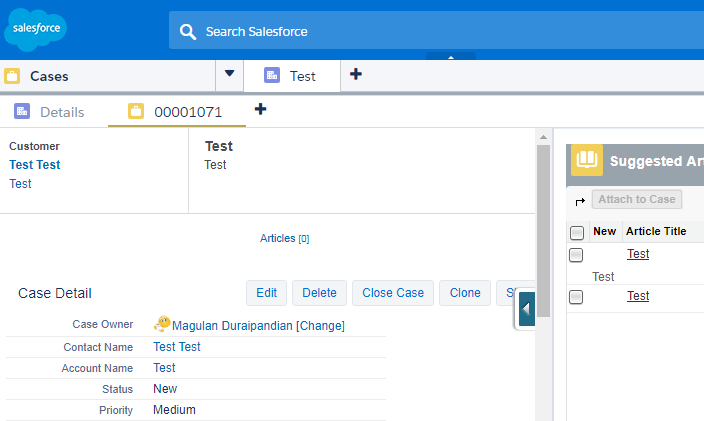 Before you can performance test in your sandbox environment, you must first create a test plan and submit it to salesforce.com Customer Support. Once salesforce.com Customer Support approves your test plan, salesforce.com can help monitor your tests. The performance test request should be submitted at least 2 weeks in advance. When updating the role hierarchy or group membership through integration or the administration console, customers might occasionally receive a “could not acquire lock” error and have to repeat the operation. This error occurs because the sharing system locks the tables holding group membership information during updates to prevent incompatible simultaneous updates or timing issues, both of which could lead to inaccurate data about users’ access rights. Typically, these locks are held only very briefly, so most customers will never see a lock conflict error. In some scenarios—such as a change in role triggering a sharing rule recalculation—locks might be held for a longer time, and conflicts might occur. Customers who experience these locking errors are typically executing large-scale data loads or integrations with other internal systems that are making changes to a role and group structure, user assignments to roles and groups, or both. When these processes are running—and an administrator tries to change a user’s role, or the customer tries to provision a new portal user—one of these simultaneous operations might be unable to secure the lock it requires. The most likely time for this failure to occur is during periodic organizational realignment events, such as end-of-year or end-of-quarter processing, where many account assignments and user roles are changing. 2. How Delegated Admin can set Field Level Security in Salesforce? 3. How to retrieve the Record Type which is accessible by user's Profile only? 4. How to query all Validation Rules with object names in Salesforce? 7. Save Hierarchy Level option available objects in Salesforce reporting. 12. What are Trust notifications in Salesforce? 13. Permissions to Publish Articles. 16. What happens to files related to a lead after converting it? Files will be in the related list of Account, Person Account(if used), Contact and Opportunity. If you face "You do not have permission to publish articles of the associated article type" in Salesforce", check the below steps. 1. Make sure the article is not locked(pending approval). Lock symbol near the article title shows whether the article is locked for approval. 2. Check the user's profile and permission set. Make sure the user have Create, Read, Edit and Delete access to the article type. 3. Check whether the user has Manage Article permission. 4. Check whether the user record has Knowledge User check box enabled. Salesforce customers who manage large data volume in their orgs must architect record ownership carefully to ensure peak performance. When you have a large number of records owned by a single user in Salesforce, we call that an “ownership skew”. One of the common patterns involves customers concentrating ownership of data so that a single user or queue, or all the members of a single role or public group, owns most or all of the records for a particular object.